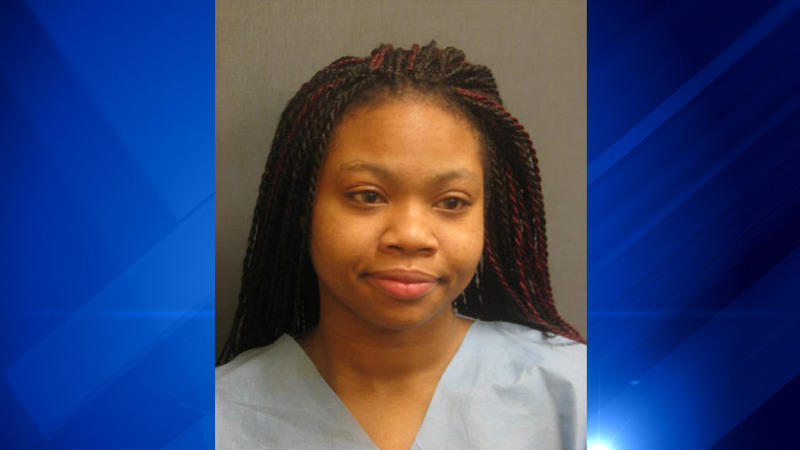 EVANSTON, Ill. (WLS) -- A 19-year-old woman is accused of hitting an Uber driver and his car with a bat in north suburban Evanston, police said. Myesha Griffin has been charged with aggravated battery and criminal damage to property. Police say a 27-year-old male Uber driver parked his car in the north alley of the 800-block of Church Street awaiting a fare around 7:30 p.m. Thursday when a van pulled up and could not get around his vehicle. The van occupants argued with him and allegedly spat inside his car. Griffin then allegedly exited the van and struck the car's passenger side mirror with a bat, police said. The van then attempted to leave and the driver tried to hold on to prevent it from leaving, causing it to drag him for a short distance. Griffin then got out of the van and allegedly struck him in the head with the bat, police said. The van was stopped a short time later in the 2000-block of Green Bay Road and Griffin was taken into custody after being identified by witnesses, police said. The driver was hospitalized with head laceration injuries. "We're saddened to learn one of our partners was the victim of senseless violence this weekend. Our thoughts and prayers for a speedy recovery are with him and his family," an Uber spokesperson said in a statement.